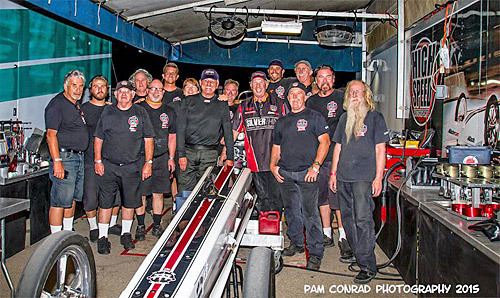 Bill Dunlap, Tom Shelar and the entire High Speed Motorsports team were all smiles after winning the Top Fuel portion of Saturday Night Nitro at Famoso Raceway. 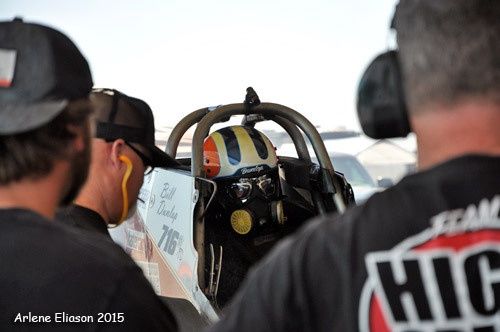 The icing on the cake was a career/car best 5.63 in round one. 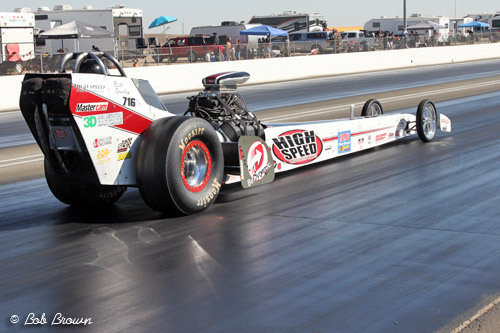 It ranks as one of the quickest times ever in Nostalgia Top Fuel and was one half of the quickest side by side race in history. 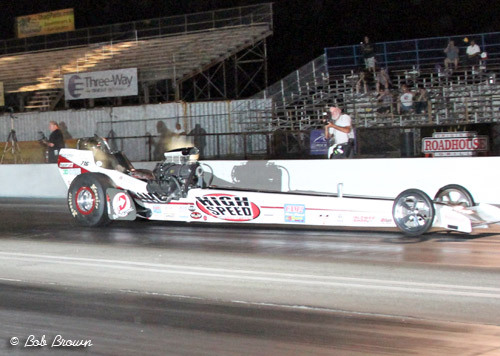 In the other lane was Jim Murphy who also ran a career best 5.69. 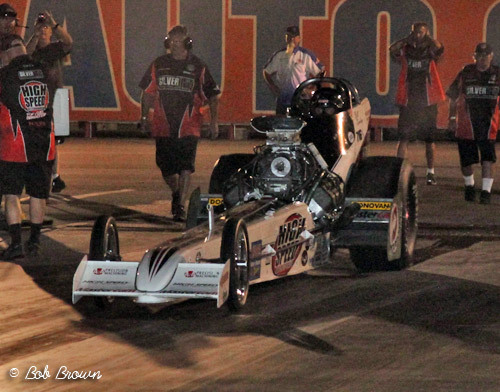 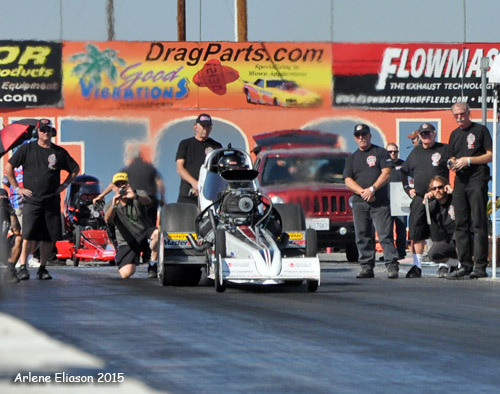 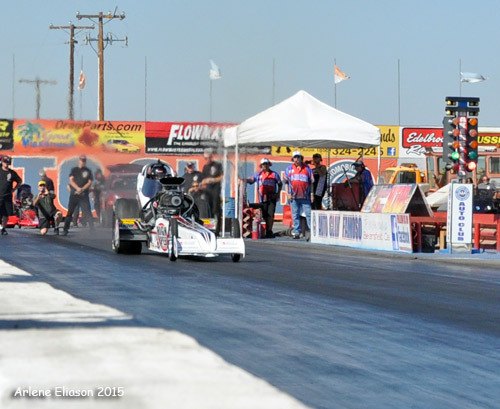 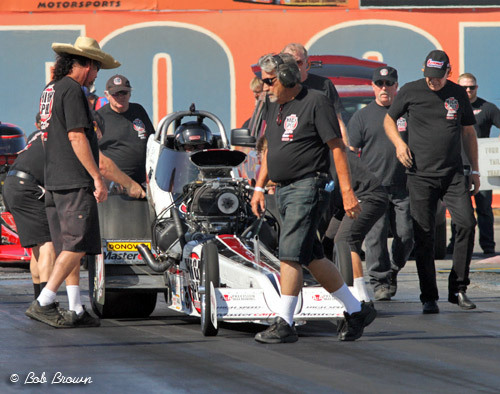 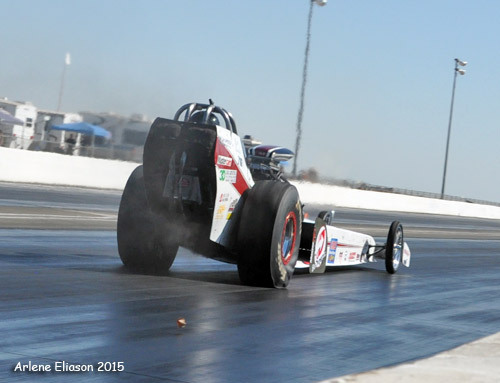 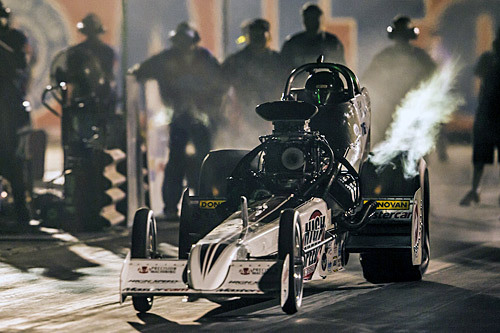 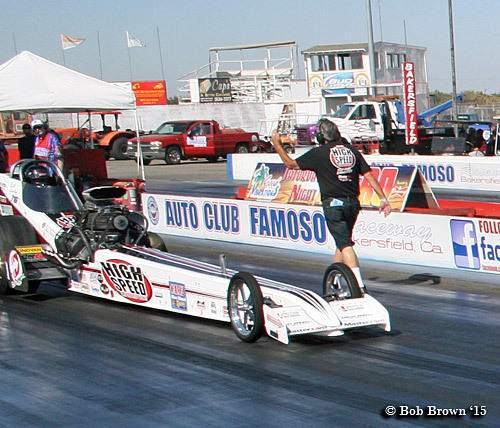 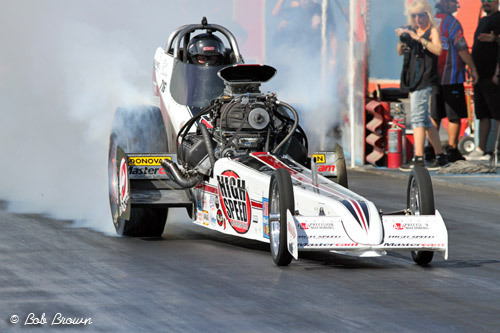 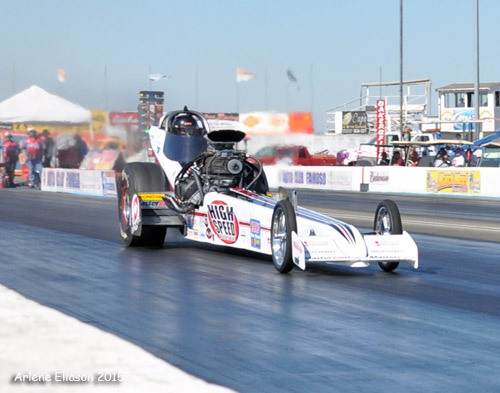 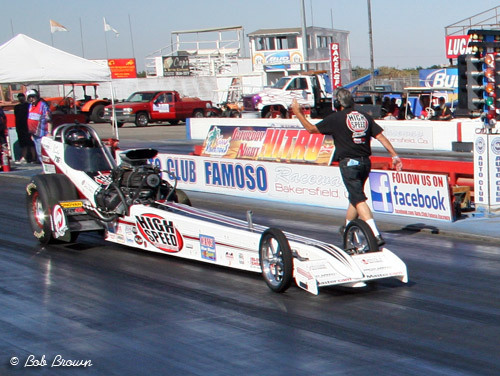 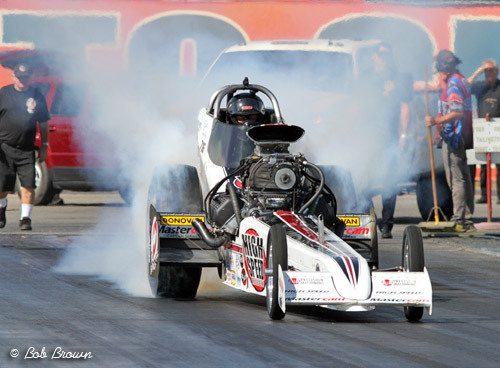 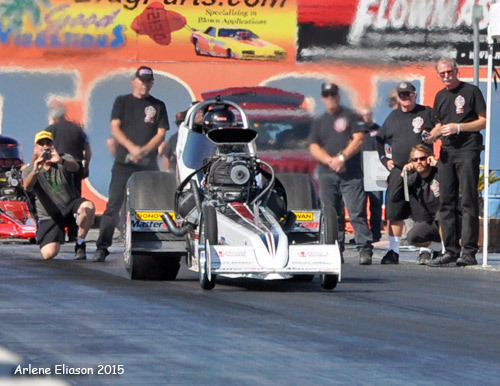 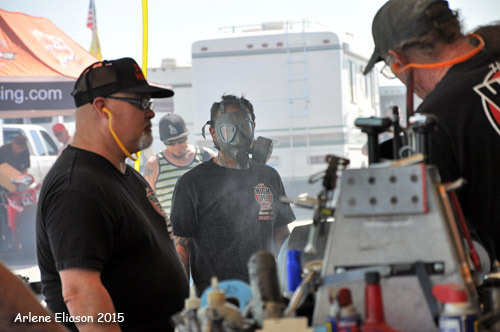 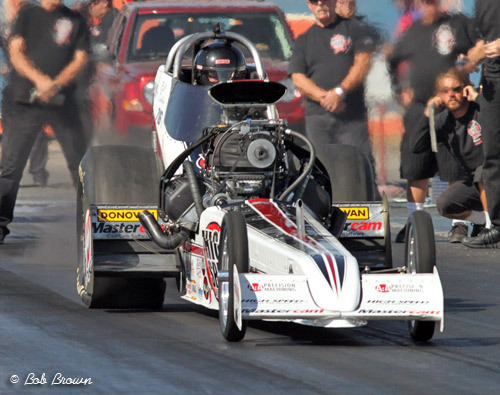 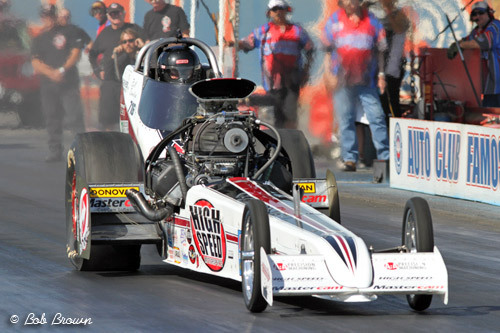 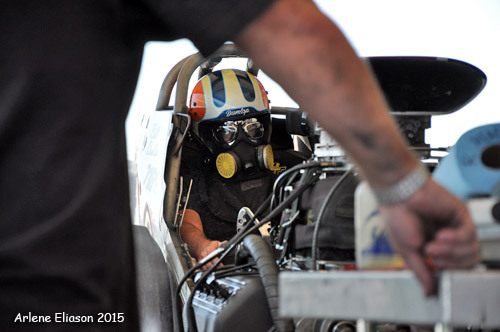 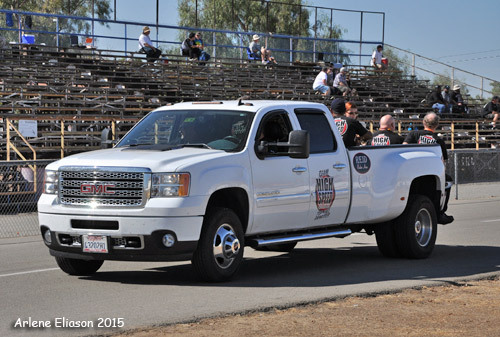 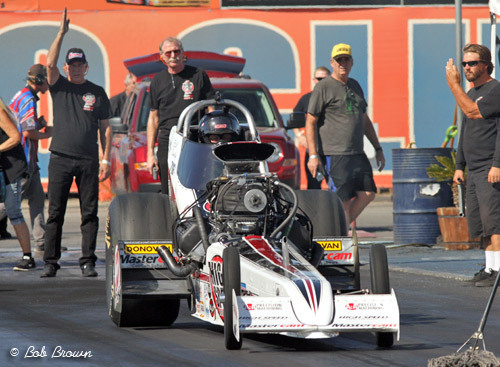 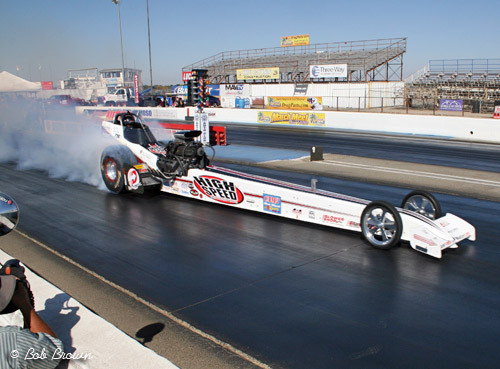 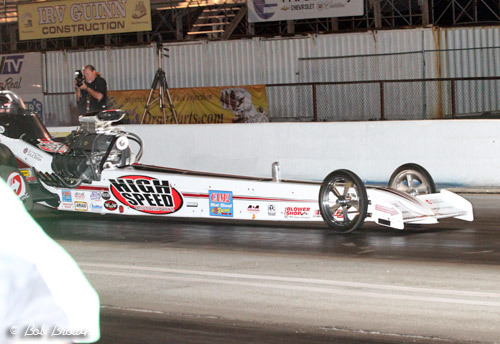 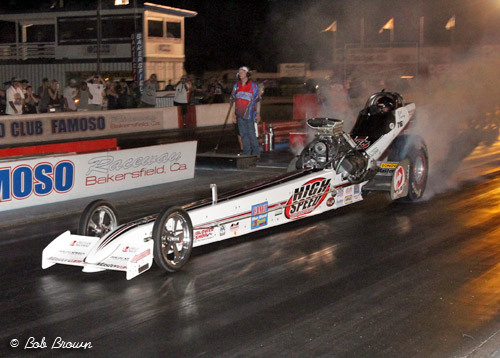 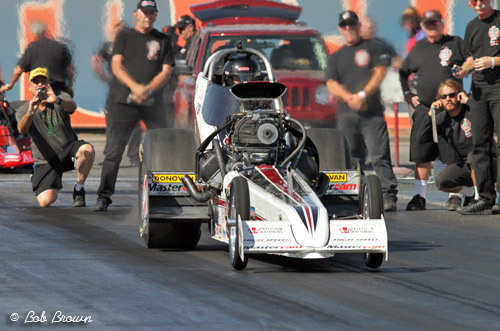 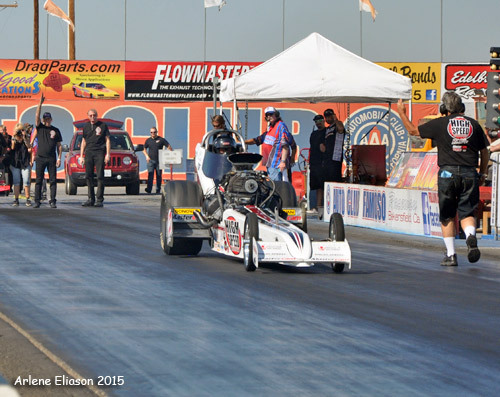 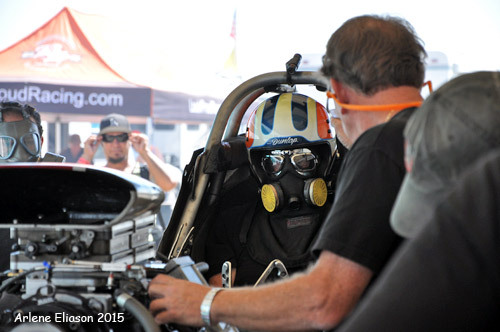 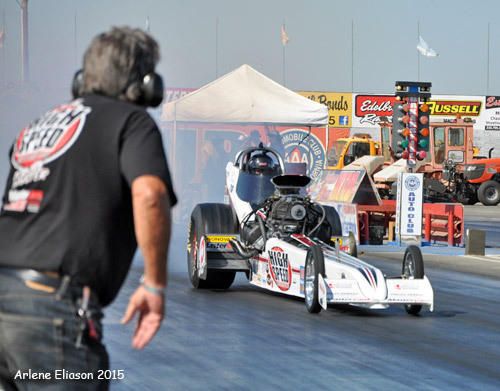 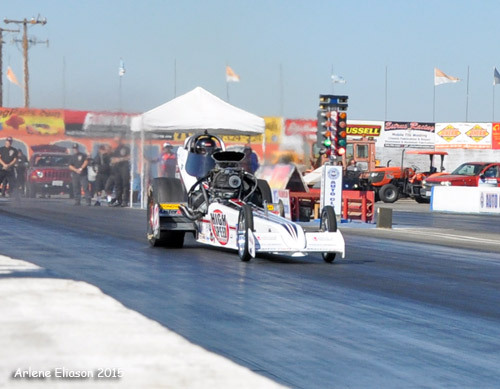 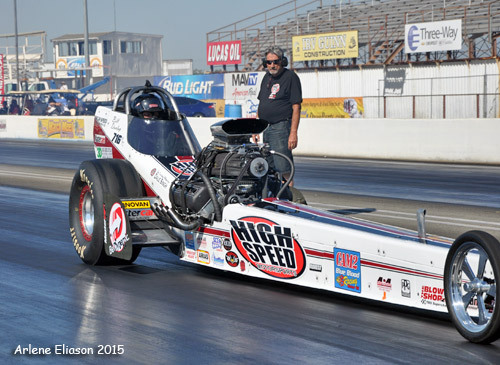 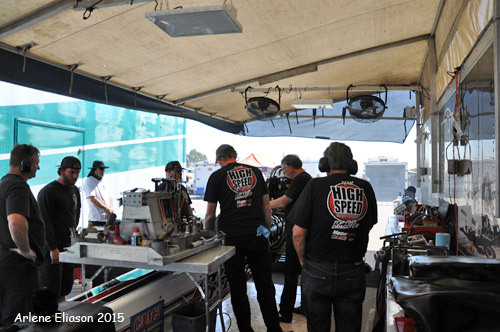 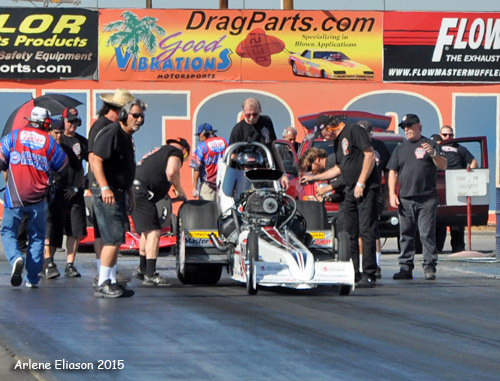 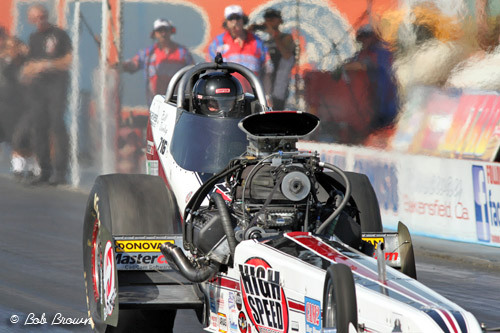 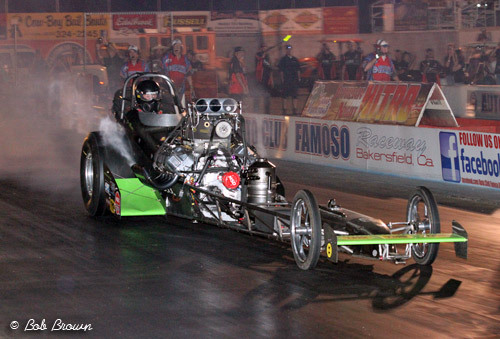 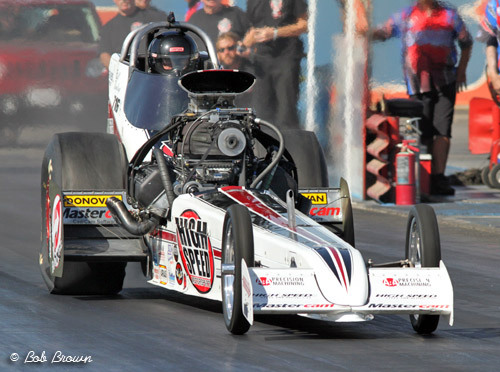 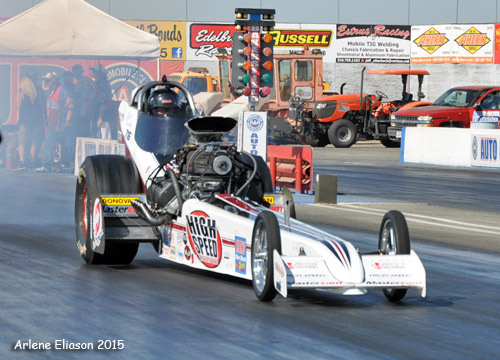 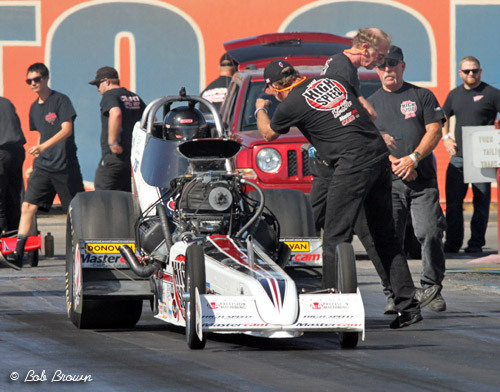 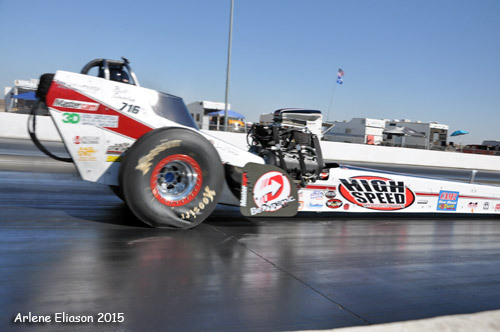 This also marked a sweep of the series as Dunlap also won the first Mastercam Top Fuel Shootout last June. 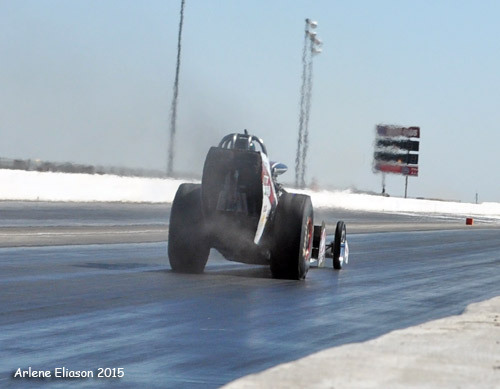 We'll open up with the warm-up followed by a test run on Saturday afternoon. 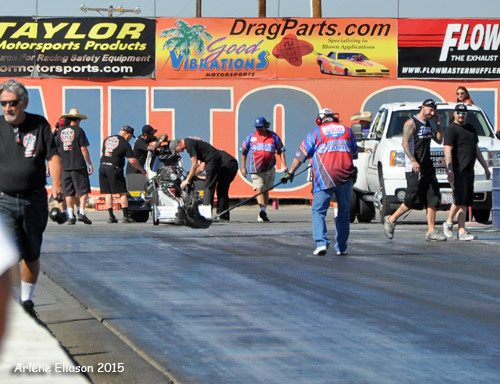 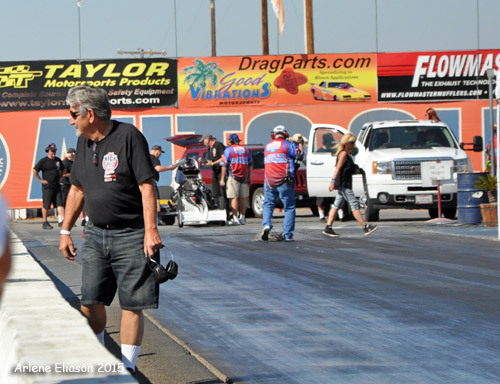 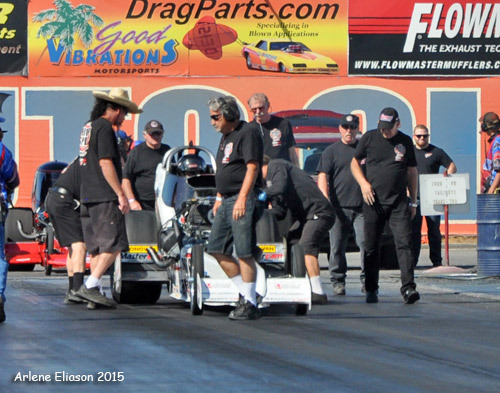 Walt Stevens guided Dunlap back from his burnout at Tom Shelar's commands. 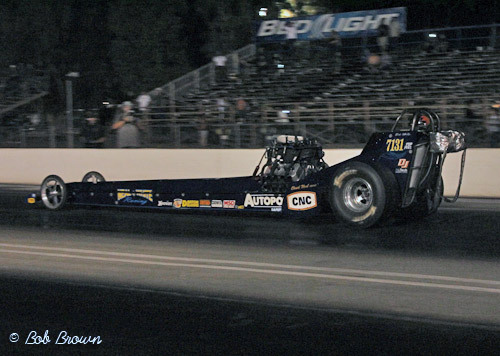 The car left hard and had great early numbers. 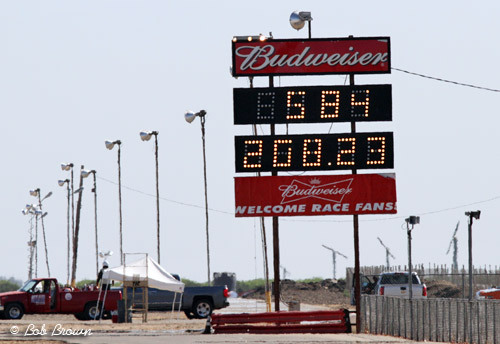 A solid 5.84 at only 208.23 in nearly 100 degree heat (130 track temp) served notice that this is one bad hot rod. 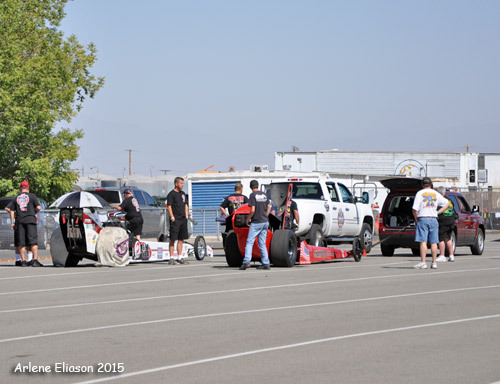 To win the event, 4 drivers had to win their match in round one, and those 2 winners would meet in a final. 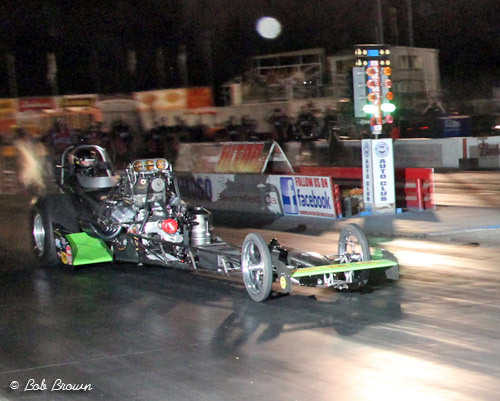 The lowest ET took the trophy. 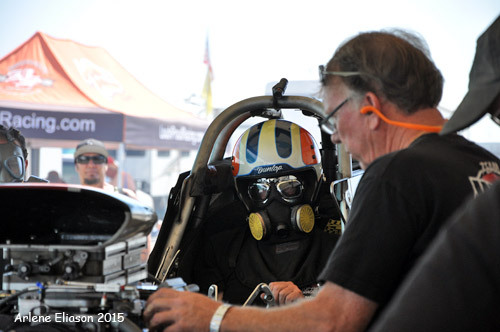 The first pair was guaranteed to be a barnburner with Jim Murphy in his WW2 car going up against Bill Dunlap in the High Speed Motorsports car. 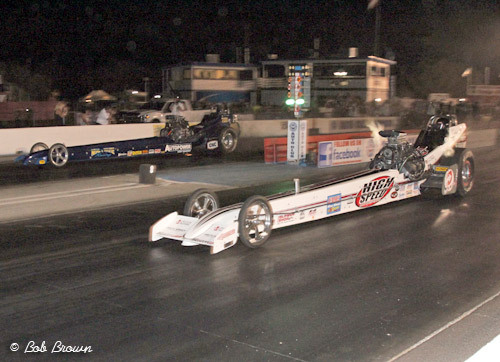 Both cars have been running great numbers of late, and this match up would be no exception. 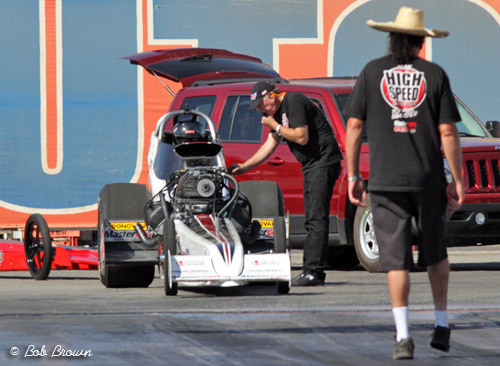 Both left the line fairly evenly, but Murphy had to be shaking his head in disbelief in the shutdown area when he found out that his quick 5.69 ET had been pipped by Dunlap's scorching 5.63, a personal best for Bill in the HSMS car. 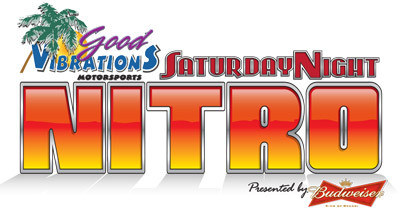 Lots of Ooohs and Ahhhs in the grandstands after that one! 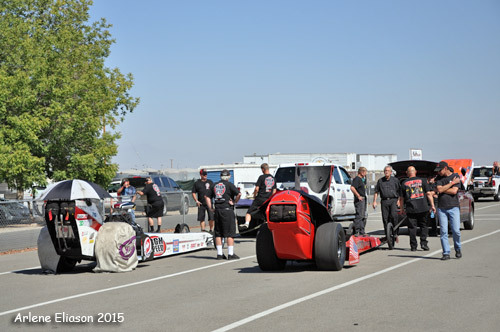 Speeds were 251 for Dunlap, 238 for Murphy. 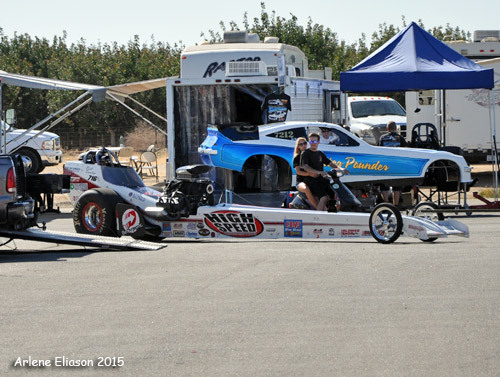 And there is was, the quickest side-by-side NTF race ever. 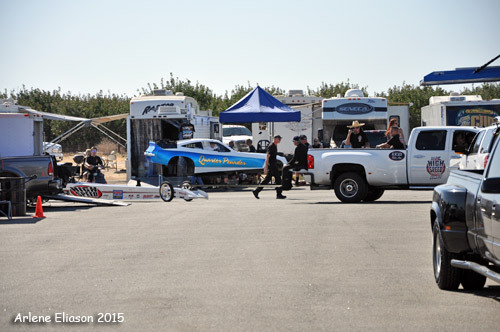 This was run in a conventional way, with the top two quickest ET's squaring off against each other. 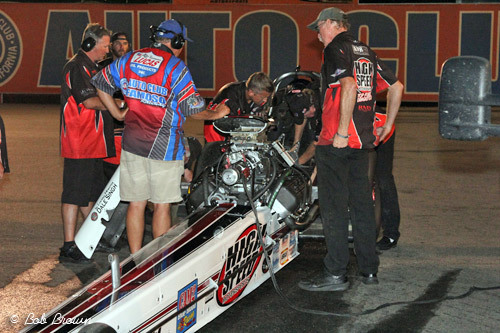 This would have meant a repeat of the Dunlap/Murphy lineup, but due to a crankshaft issue, Murphy's car was unable to make the call so Rick White came forward on the break rule. 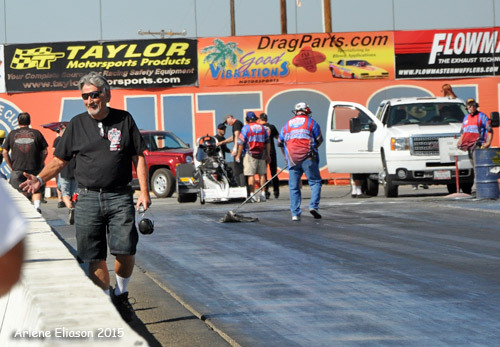 Bill was on his game with a quick .048 RT while Rick was late off the line with a .159. 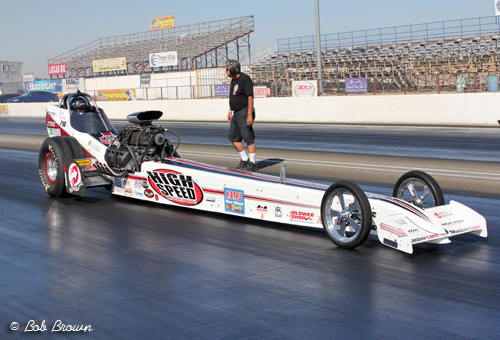 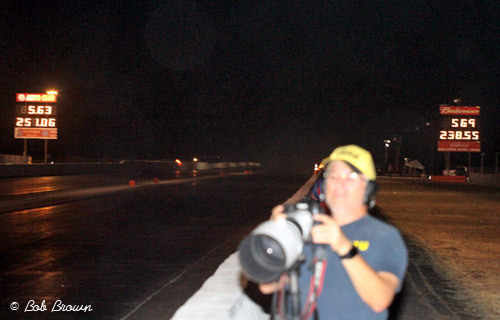 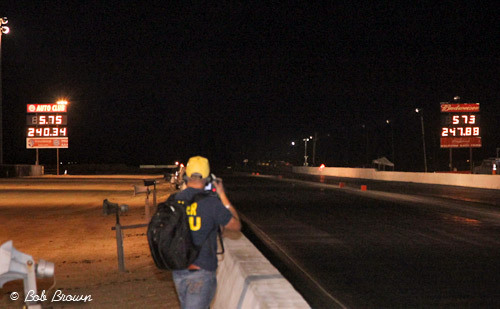 At the far end, Rick had a slightly quicker ET at 5.734 at 247 against Dunlap's 5.754 at 240, but the hole shot determined the race with Dunlap taking the trophy in the HSMS dragster. 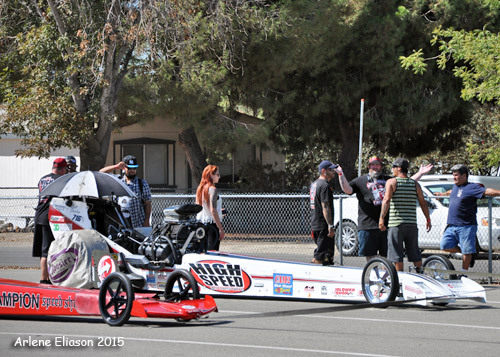 Great racing!